Edit: Clarified that Debit cards are needed to replace a parental Credit Card. Edit: This is now available on Xbox.com. 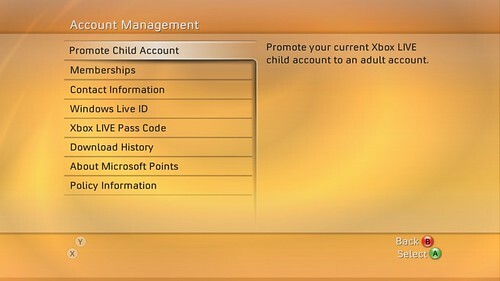 There’s an option on My Xbox > Manage Profile page called Promote Account. LIVE users can upgrade from their child status that way. Just like on the console, they need to supply a credit card to replace their current one.